Location, convenience and affordability are what you will find at Bilbray Meadows. These beautiful brand new townhomes offer 4 floor plans ranging from 953 to 1,168 square feet. These open concept designs are built for the way you live including spaces for entertaining, gracious secondary bedrooms and lots of storage. Strategically located in Laughin, Bilbray Meadows is close to all major dining, shopping and fun filled entertainment. Just right around the corner from Casino Drive and the Colorado River, residents of Bilbray Meadows are near every modern convenience. 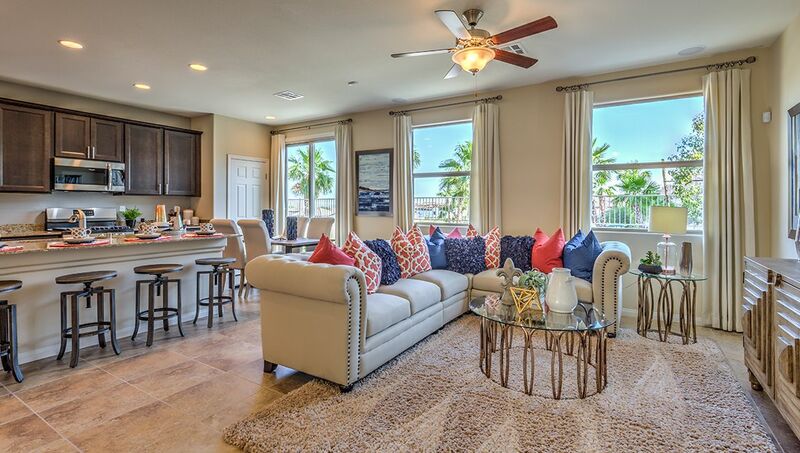 Contact a sales agent today to see available home sites and plans at Bilbray Meadows!